You don’t need frigid weather to get into the holiday spirit! Despite average temperatures in the 70s, there are a slew of holiday festivities you can enjoy in the Phoenix area at this time of year. When the holiday season arrives, the city comes alive with Southwestern charm and hospitality– all set on a beautiful desert backdrop. You can enjoy holiday concerts, outdoor ice skating, and twinkling light shows. Planning a holiday outing can be pretty time-consuming and stressful as you purchase tickets, schedule your day, book lodging, create a budget, and arrange for transportation. GOGO Charters can help alleviate some travel stress by handling all of your group transportation needs. We specialize in helping large groups travel to their favorite holiday destinations across the country, booking customized fleets for groups of any size. No matter your group’s needs or requests, our team is always able to find the perfect private bus with top-of-the-line amenities for a smooth, enjoyable, and stress-free trip. Bask in holiday cheer at Illumination– the country’s largest drive-through animated light show experience. As you enter the world of Illumination, you will get to experience the magic of over 1.7 million dazzling lights, masterfully choreographed to your favorite holiday tunes. Despite a conspicuous lack of the typical winter weather, Phoenix’s historic neighborhoods still manage to look picturesque during the holiday season. 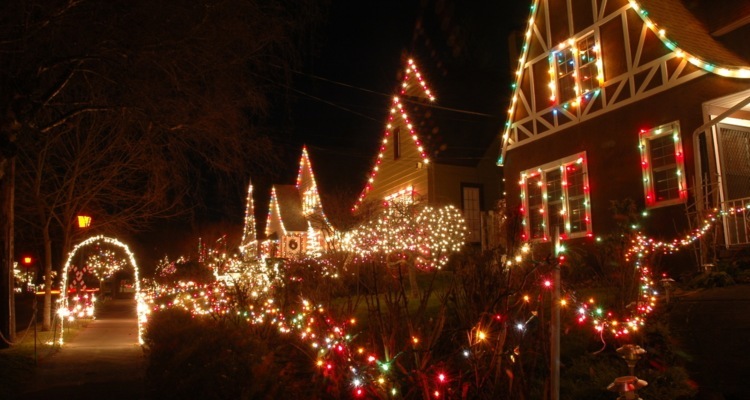 Enjoy a stroll through one of the city’s oldest neighborhoods, decorated for the holidays. Hot chocolate, carolers, luminarias, and a street fair complete the winter wonderland scene. Every winter, the Grand Canyon Railway pays homage to the classic children’s book by Chris Van Allsburg. The story comes alive on the train’s magical journey from Williams, AZ to the “North Pole,” where St. Nick hops aboard to present children with a special keepsake gift. Guests on the 1.5-hour train ride can enjoy hot cocoa and cookies while they listen to the tale. Williams, AZ is located about 2.5 hours north of downtown Phoenix. While parking is free at the Railway, finding a parking spot can be tricky due to the popularity of this destination. There may be as many as 3,000 people on the property on any given day! 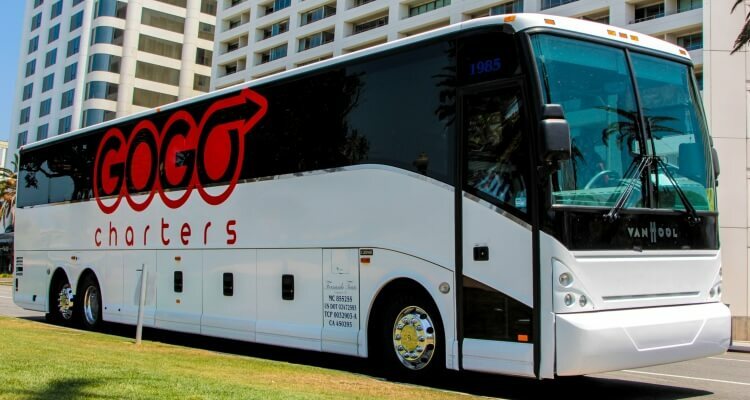 With a GOGO Charters Bus Rental, traffic, navigation, and parking will be one less thing to worry about. Your bus driver will drop your group off at the entrance to the Railway complex and take care of parking, while you focus on soaking up all of the holiday cheer. Everyone in your group can enjoy WiFi, watch movies on the on-board televisions, nap in plush & roomy seats, and use the on-board restrooms (available on some full-sized charter buses) to make the trip as painless as possible. Renting a charter bus to the Polar Express will ensure that even the youngest children in your group have an easy and peaceful ride to and from the venue. Celebrate the holidays at the Musical Instrument Museum! The annual holiday program features musical performances and themed activities like face painting. Holiday songs and musical traditions from around the world will be widely featured, letting you experience the holidays on a global scale. If you’re looking to get into the spirit of a “cold winter’s night,” skating on a real outdoor ice rink should do the job. Located in the heart of downtown Phoenix, CitySkate is a holiday ice-skating dream complete with a massive Christmas tree, opportunities for selfies with Santa, a hot cocoa stand, and thousands of glittering fairy lights. General admission tickets are $15, but discounted rates and Express Passes are also available. Two underground parking decks are available nearby, with prices ranging from $4 to $28 based on time. However, parking fees can add up quickly, especially for a group with multiple vehicles. It can also be difficult to find a spot due to the popularity of the event and its central location! With your own bus rental, you can completely avoid parking hassles and navigating through downtown Phoenix. 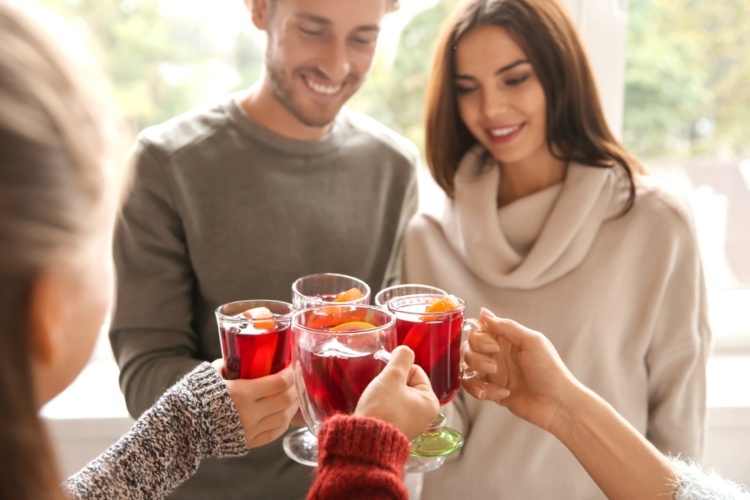 Keep your trip anxiety-free, so you can enjoy all the holiday festivities to their fullest. Every year, the Arizona Science Center blankets Heritage and Science Park’s grassy hills with over 75 tons of snow. Guests of all ages are encouraged to make snow angels, sled, and build snowmen. The Science Center conducts daily interactive science demonstrations and various other kid-friendly activities. You can enhance your snow day experience with ice-themed shows in their Planetarium and the Irene P. Flinn Giant Screen Theater. If you’re planning a corporate, church, school, or family outing this holiday season, GOGO Charters is here to help you find the perfect group travel options. We offer transportation options to groups traveling locally in Phoenix or even those traveling longer distances (…New Year’s Eve in Vegas, anyone?). If you aren’t sure which travel option is the best for your group, give our rental experts a call at 480-776-0065 any time, any day. We’ll pair you with the best bus and driver for your plans to make your trip as smooth as possible. The holidays are already stressful enough without worrying about busy streets & traffic, organizing group transportation, and expensive parking! Let us handle your travel plans so that you can relax and enjoy time spent with loved ones.